January is almost done and with that a New Year of Fly Fishing Louisiana's coast line for Red Fish begins! 2015 was filled with great times on the water with first timers and seasoned anglers. Many fish were caught, but the best thing was that each day on the water was fun filled and ended with big smiles. 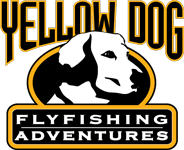 To me, there is nothing better and it is what makes guiding as a profession so fulfilling, showing people my water and my love for fly fishing in Louisiana and having them love the experience. Below is just some of the great days and great fish of 2015!